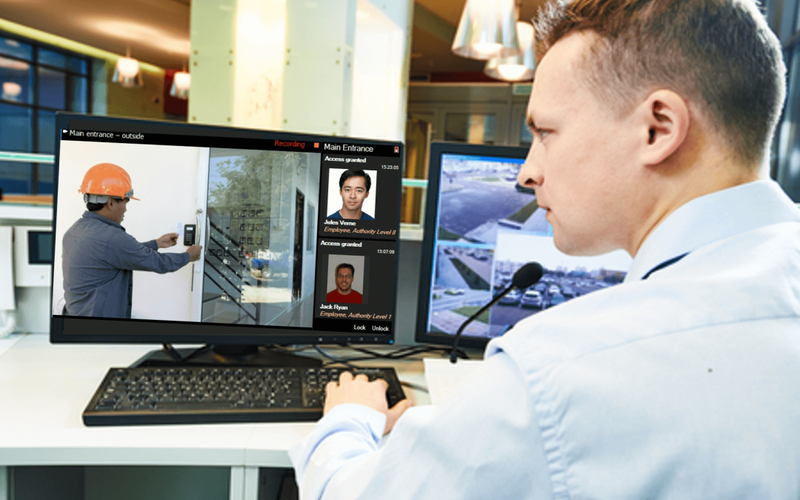 One of the biggest trends in security today is integration between video surveillance and access control. Product vendors and systems integrators are working to bridge the gap between these two systems to provide users with a higher level of security and a more efficient and user-friendly experience. Watch the below overview video or continue reading. The layout can vary based on a company’s needs, but the goal is to make it easy and effective for an operator to verify that someone attempting to enter a location is properly authorized. This is not limited to physical locations, as integration can also be used to monitor networks and systems, such as IT personnel verifying that an employee attempting to log into a network is authorized to do so. In the past security systems operated independently of each other. This made integration more costly, less efficient, and a hassle to operate. In addition, every system was specified and installed by a different person: Architects chose locking hardware. Security consultants chose electronic access controls and monitoring services. The fire engineer always chose the alarm. However, integration is still new and is quickly gaining momentum. 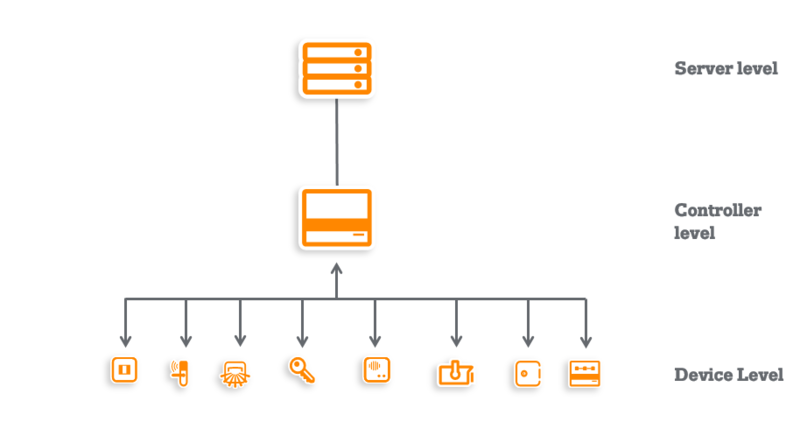 With an integrated system all operations become streamlined. Surveillance and access control information can be viewed from a single interface at a work station or even on your smartphone with a simple app. The software and hardware work seamlessly together and the system is designed to be both more effective and easier to use. An integrated system also saves time by reducing time wasted learning how to operate multiple systems together. Once your system is connected, it will be less expensive for you to make upgrades. Instead of having to update each individual part of your system, you’ll be able to do a single upgrade. This not only saves time and money but also means that upgrades will require fewer people to be involved. 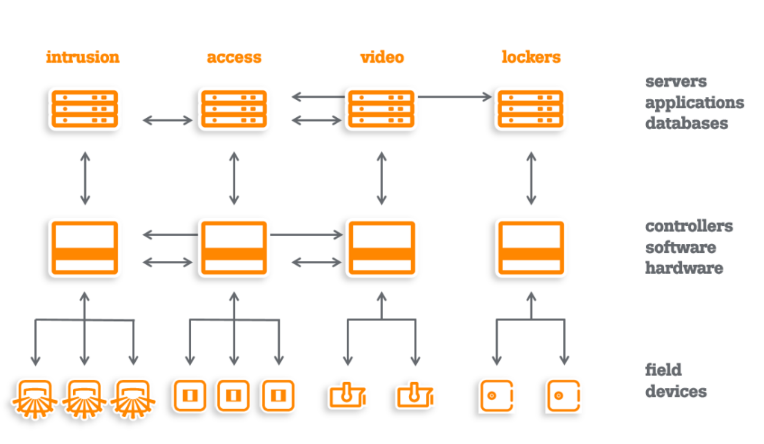 With an integrated system tracking an individual through a building is easy because instead of just using video, you can rely on a key-card system and video combination. Some systems can even put a tag over an individual’s head, making it easy enough for anyone to follow accurately. Integration is faster, more effective, more consistent, and more time- and cost-efficient. An integrated system improves safety and mitigates risk more effectively. By combining the information from video surveillance and access control systems you can address incidents as they arise. You can also have alarms or a PA system linked through the same system as video surveillance. Tailgating can be addressed immediately. Fires can be located and dealt with accurately and quickly. You can track people moving through a site with guaranteed accuracy. Doors can be locked or unlocked automatically or manually. Whether it’s following verified visitors, or monitoring employees during an evacuation, you can be sure of the numbers of people, their locations, and other key information by integrating video surveillance with access control. An integrated system allows you to see everything at once, and this is not limited to one site. 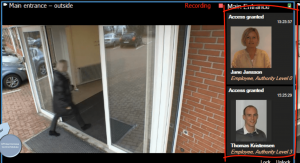 You can view access control information on the same interface as the video, rather than linking events and information later. This means you can react to situations as they happen. If you can address situations in real time, you will have fewer security incidents over time. Integrating video surveillance and access control centralizes multiple operations, which results in more efficient and effective security. This also grants an ease-of-use that reduces time spent training and becoming familiar with multiple systems and how they work together. Historically, separate platforms were needed for each technology involved in a business’s security operations. With modern integrated systems you need only one interface to view any security event in real time. Management does not have to speak to every area involved in an event. Instead, all relevant information is found immediately in one interface. A centralized system also makes upgrades and training more efficient saving time and money. On top of that, it allows for more a more organized and easy to use work flow. A centralized system allows for more efficient data collection as well as improved security measures. This results in more effective identification of weaknesses such as doors where tailgating is common, or areas in a store where theft is more likely. Once these are identified you can quickly address the issues. An integrated system makes it easier to gather data which means more effectively solving security problems. Truly interoperable systems were once a luxury reserved for the largest and most complex companies. Today integrated systems are becoming imperative for many businesses. Integration is becoming more common every year, and the pros now outweigh the cons for most companies. For more information on how you can take advantage of the increasing demand for integrated security solutions, contact us to get started.